How to streamline and integrate Security Operations? 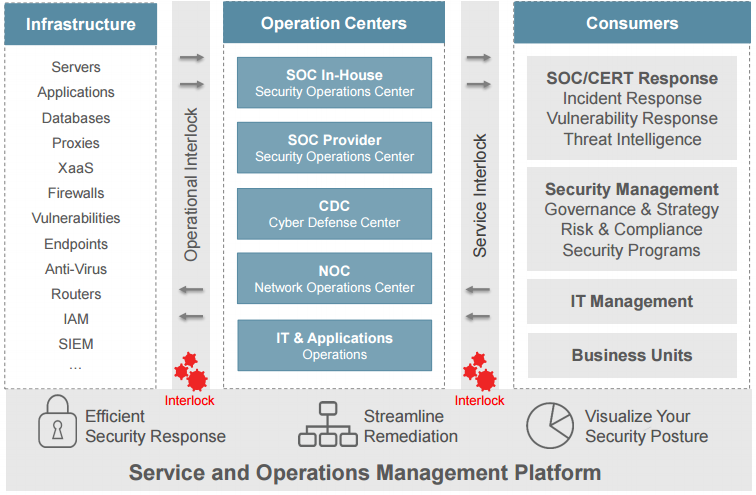 Operations teams require a set of cybersecurity operations processes and workflows built on top of a security operations platform integrated with IT Service and Operations Management, Business Operations, and making use of CMDB data to map threats, security incidents and vulnerabilities to business services and infrastructure. This mapping enables prioritization based on business impact, ensuring teams are focused on what has the most impact to the business. Watch my presentation about How to streamline and integrate Security Operations? at IT-SA 2016.